I have always loved amphibians. Growing up in central New Jersey I didn’t have many opportunities to behold frogs and salamanders in nature. Yet this love would eventually develop into a career and passion, leading me to establish and direct the Amphibian Foundation, in Atlanta, USA. The foundation’s primary mission is to protect amphibians and their habitats by working with partners to form lasting solutions to the amphibian extinction crisis. Creating art for science allows me to learn in a new way and see aspects of biology I may not have otherwise experienced, especially when illustrating a fellow scientist’s research. My developing passion for amphibians was contrasted by an increasing awareness that these animals were in trouble. By the time I reached graduate school at the University of Miami, amphibian declines were documented in pristine and developed areas with some causes remaining elusive. I felt a strong obligation to focus on the conservation of these animals I love so much, so I decided to shift my focus to applied research with conservation goals. I joined the Atlanta Botanical Garden, which had one of the longest running US amphibian conservation programs. 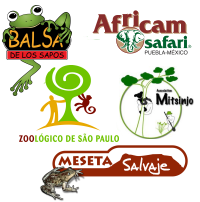 I worked with extremely rare and endangered neotropical species like Eyelash Marsupial Frog (Gastrotheca cornuta), Crowned Tree Frog (Anotheca spinosa), Lemur Leaf Frog (Agalychnis lemur) and Fringed Leaf Frog (Cruziohyla craspedopus). Later, I was directing the program and shifted the scope to focus on native US threatened species, such as the Frosted Flatwoods Salamander (Ambystoma cingulatum), a relative of the Ambystoma salamanders which stole my heart from the beginning. Up until the program was discontinued in 2016, we worked vigilantly to protect amphibian species and increase public awareness. In August 2016, I founded the Amphibian Foundation, a nonprofit based in Atlanta. Through our partnerships with organizations like Amphibian Ark, we bring hope for amphibians and their advocates at a time where climate and environmental policy is less than encouraging. 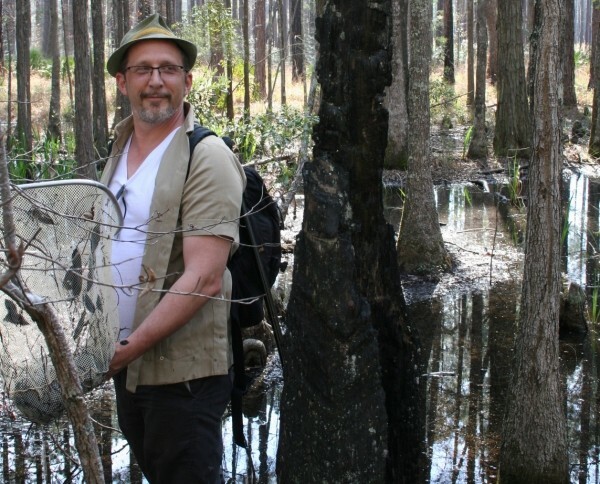 We develop ex situ and in situ conservation plans with partners for native southeastern US amphibian species, including the Frosted Flatwoods Salamander and Gopher Frog. We educate and train interns from around the globe to increase capacity towards conserving amphibians. We work in our community through courses, camps and citizen science training to educate and change the public perspective on amphibians and why their declines are important to us, the community, and the world. 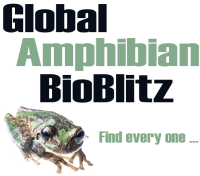 Still in our first year of development, the Amphibian Foundation has received steadfast support from the amphibian community across the globe. We appreciate and enjoy the many opportunities to partner and focus on saving amphibians. I envision the foundation growing to wherever we may be of further service to the amphibians and the amphibian conservation community.